Award-winning Chef Marilyn Pearson provides an “extraordinary”” culinary experience, according to Duncan Ross Associates. Integrity, experience and excellence are just a few words to describe Marilyn Pearson’s Cuisine & Company. Chef Marilyn was mentored by Vancouver’s top chefs and studied at the prestigious Dubrulle International Culinary and Hotel Institute of Canada. Marilyn draws on her 15 years of event catering experience when she designs your special event. Marilyn’s distinctive menus use only the freshest ingredients. Her attention to detail creates meals that provide the elusive balance of tantalizing flavors and exquisite presentation. Cuisine and Company and sister company The Garden Wedding Company settles for nothing less than subtle elegance and impeccable style when designing your next event. 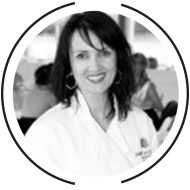 Marilyn has been a wedding caterer and planner in Vancouver area since 1996 and understands what it means to have a seamless wedding. Marilyn believes that catering is so much more than just food. It’s the presentation of the service, the special touches to the day, and of course, the lovingly prepared food that enlightens everyone’s taste buds. Marilyn has always enjoyed the challenges that arise out of special event catering including garden weddings. Cuisine and Company, and The Garden Wedding Company give back to the community each year by supporting fundraising efforts for the Surrey Food Bank, helping to raise $107,000.00 in 2015 alone, as well as the Surrey Fire Fighters Fund. We also donate unused food when possible to the guests at the local homeless shelter. We also support needy families in starting their own businesses through World Vision. Marilyn is a past founding director of the Surrey Homeless and Housing Society (serving for 8 years), and a past executive director of the White Rock South Surrey Chamber of Commerce. Marilyn Pearson has appeared on several television shows – CityTV Breakfast Television, CityCooks with host Simi Sara, and Fusion Fare on Channel M. She has also been featured in cooking segments with Shane Foxman, Dave Gerry, Beverley Mahood, Valerie McTavish, and Mark Docherty. Marilyn currently teaches cooking classes at the Wellbrook Winery in Delta, BC, and she was also featured on the Guildford Mall Center Stage with guests Simi Sara and Ken Kostick. Articles on Marilyn’s cuisine have been featured in Look, Real Weddings Magazine, Now, Sounder and the Metro Vancouver newspaper. Marilyn’s charity work has also been featured in the Peace Arch News.